Since it's part of our job to scout, test, and retain knowledge of all the best skincare products out there—the affordable and the expensive alike—we know it's 100% possible to spend as little as $60 every couple months on your skincare routine and upward of, um, $1000. We also know you can reap amazing benefits with either spending strategy. Of course, we're not dermatologists (nor are we pretending to be), and it's important to know that every individual has unique skin needs that depend on skin type and other potential conditions like acne, psoriasis, and eczema. 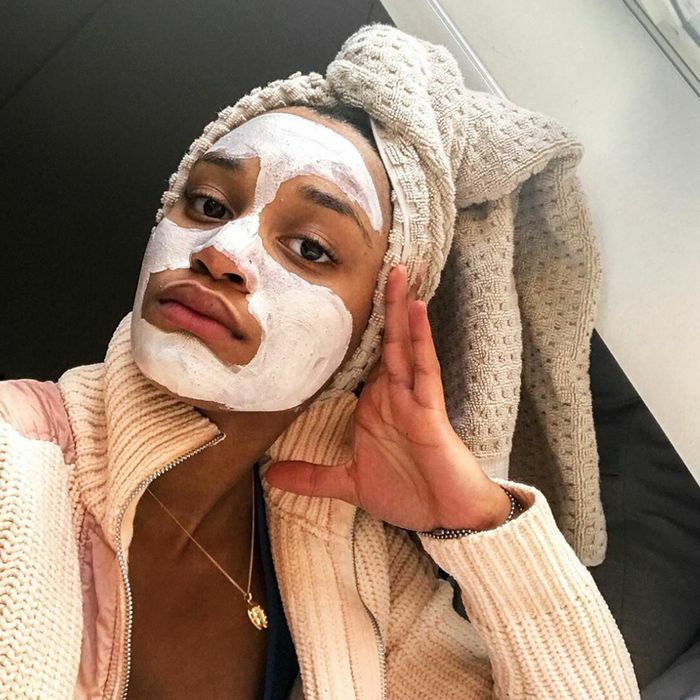 However, we thought it might prove helpful to communicate that it's totally possible to equip yourself with an A+ skincare routine regardless of your budget. Ahead, we've created three fairly basic skincare routines (all centered around relatively normal skin types) featuring the must-have products and price tags both your skin and budget will thank you for. Obviously, you might need to swap or add here and there depending on your skin concerns, but here's to getting your shopping list started in the right direction. Plus, most of the brands we feature for each product will have roughly the same pricing regardless of the particular serum, cream, or cleanser you choose, so use this as a template and then adjust formulas as needed. Ahead, three budgets and three smart skincare routines broken down by cost per wear. We're guesstimating you'll need to replenish your stock every month or two, especially since you'll be using some products both morning and night, so we've decided to divide the price of each product by 31 to keep things consistent. Why you'll love it: Smartly formulated for all skin types (from mature to oily to everything in between), this soothing face wash can be used both morning and night and effortlessly rids your complexion of makeup, grime, oil, and dirt. Why you'll love it: From kale extract to prebiotics to a radiance-enhancing superfood complex, this nourishing face wash cleans all skin types while infusing even the dullest and dehydrated of complexions with essential nutrients. 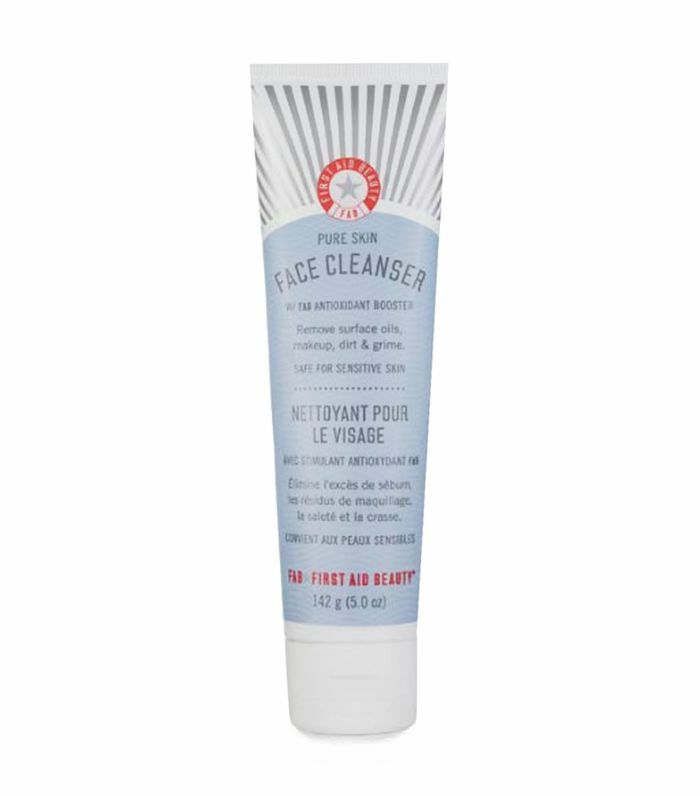 Why you'll love it: Yes, this four-in-one cleanser from Tata Harper is a total splurge, but it's absolutely one of the best formulas we've ever scrubbed into our skin. It's user-friendly for all skin types and keeps the skin balanced, moisturized, and luminous. Why you'll love it: With a clean ingredient list and non-cringe-worthy price tag, this pretty-smelling toner from Burt's Bees does everything you want it to (thanks to MVP inclusions like glycerin, aloe vera, and rose water) while playing nice with every skin type. Why you'll love it: Nothing is more satisfying than a multitasking skincare product, and this organic and vegan option from Ursa Major does the job in one fell swoop. A mix of aloe, willow bark, hyaluronic acid, sugarcane, and birch sap help firm, hydrate, soothe, and heal all skin types. Why you'll love it: Before you balk at the price, it's imperative you consider the dreaminess of this celebrity-loved toning elixir. Boasting 90% Pitera (the miracle ingredient discovered by the brand over 30 years ago), this featherlight formula gently exfoliates and encourages your complexion's natural renewal process. Over time, pigmentation will be less noticeable, wrinkles will be reduced, and texture will become smoother, firmer, and brighter. This, my friends, is the holy grail of toners. Why you'll love it: Not only does this well-loved and affordable SPF formula manage to moisturize your skin with its lightweight texture, but it also absorbs impressively fast, smells amazing, and doesn't leave behind the dreaded chalky residue of so many other formulas. Plus, it's oil-free, water-resistant, and grants you at least 80 minutes of full-fledged sun protection. Why you'll love it: Gorgeously lightweight, this is one of the few SPF formulas we are legitimately obsessed with. We almost forget it's actually an SPF and not just a silky-smooth morning moisturizer. Plus, since it's designed by one of the best dermatologists in the biz who's responsible for some of Hollywood's most glowing faces, you can trust it. Why you'll love it: It's La Mer, duh. Plus, it's soothing, fast-absorbing, anti-aging, and flawlessly infused with the brand's signature Miracle Broth and a broad-spectrum SPF 30 to protect against UVA and UVB rays. Why you'll love it: The real question here is what's not to love? An awesome pick for all skin types, this affordable little bottle from Klairs is equipped with everything your skin craves all year round. It's lightweight, nourishing, and helps relieve hyperpigmentation, acne, dehydration, and sun damage thanks to its vitamin- and acid-stuffed nutrition label. Why you'll love it: Meghan Markle is a known fan of this Canadian-born, organic skincare line, and honestly, we're not sure if you'll require any further convincing. However, the fact that this dreamy-smelling serum is also enriched with algae extracts, aloe vera, CoQ10, hyaluronic acid, honey, salicylic acid, antioxidants, and vitamins galore makes it that much more appealing. Why you'll love it: Sticker shock aside, if a brighter, all-around healthier complexion is what you're after, this game-changing tincture from Dr. Barbara Sturm is one of the most covetable you can buy. It combines skincare heavy hitters like hyaluronic acid, garden cress sprout extract, ginseng, provitamin B5, allantoin, and more to help you put your best face forward. Why you'll love it: Approved and recommended by dermatologists, CeraVe is one of your best drugstore-brand bets when it comes to affordable but effective skincare. This widely loved night cream features reparative skin saviors like ceramides, niacinamide, and hyaluronic acid to promote hydration and brightness. Why you'll love it: Renée Rouleau is one of our favorite celebrity estheticians to consult for skincare advice, and not surprisingly, we're also obsessed with all of her skincare products. If you're looking for an anti-aging elixir that's hydrating, soothing, and safe for even the most breakout-prone skin, we can't recommend this pretty blue tube fast enough. Why you'll love it: We're not sure why, but RéVive still manages to fly under the radar within the skincare realm. This nightly moisturizer is by far one of our favorite all-star formulas from the brand and, thanks to ingredients like glycolic acid, helps you wake up to a brighter, clearer face each morning. Why you'll love it: Yes, they're adorable, shaped like shooting stars, speckled with glittering gold, and very IG-worthy, but these handy eye masks also help banish dark circles and any other sign of less-than-optimal beauty sleep. Why you'll love it: We're not sure about you, but we're always on the hunt for a mystical-looking skin elixir that will make our skin look brighter. This formula from Tatcha does the job and looks super pretty while you Netflix-binge to boot. Why you'll love it: Not only is this gorgeously thick and satisfying mask/exfoliant/cleanser hybrid perhaps the best-smelling thing we've ever put on our faces, but it's also one of the only formulas we can 100% count on for a super-great skin day. Thus, while spendy, it's become one of our favorite nighttime rituals. Next up, four maximalist makeup looks we're obsessed with and the clothes to wear with them.